In 1962, physicist Wolfgang Panofsky finally obtained funding from the Atomic Energy Commission. As a faculty member at Stanford University he wanted the federal government to fund his monster. Dubbed Project M, for monster, Dr. Panofsky was seeking a method for scientists to obtain evidence for what was really going on inside the atom. The project was really a linear accelerator capable of obtaining 20 billion electron volts of energy, a monstrous level for that time. The government wasn’t too pleased with the name, either one, though they did build it they called it instead the Stanford Linear Accelerator Center (SLAC). It was a monster anyway. In 1964, physicists Murray Gell-Mann and George Zweig had both proposed the existence of quarks. We are taught in basic high school physics that the nucleus of an atom consists of neutrons and protons, but that model really doesn’t quite fit the observable universe. The more scientists were able to pierce smaller and smaller scales, the stranger the universe seemed to be even relating to the basic building blocks of matter. The problem with proving the existence of quarks was observation, the fundamental proposition of any scientific endeavor. No one could observe them directly, so clever researchers like those working at Stanford would find alternative means. By shooting electrons at high energies at atoms of liquid hydrogen and deuterium, the experimental physicists could observe the scattering of alpha particles and determine what was causing it. The quark was indirectly confirmed by its effects on other particles, evidence obtained in monstrous experiments to observe not the thing itself but what that thing does, predictably, to other things. There is no such thing as a eurodollar. There used to be in the form of actual cash deposits of US dollars sitting within the vaulted casings of banks scattered throughout Europe, the Caribbean, and elsewhere outside the United States. Along the way, chains of liabilities were created without the need for actual dollars, though they were called that anyway. So long as one bank accepts the liability of another denominated as a dollar, voila, eurodollar. Since Economics as an ideology rather than a science quite intentionally gave up on the crucial field of monetary economics (all the way back in the missing money 1970’s), preferring instead to pretend nothing interesting ever goes on in money dynamics, the eurodollar has been totally neglected. The world knows little about it and what evidence there is comes to us like finding quarks via alpha scattering. Since it requires investigation, let’s investigate a recent puzzle. We know from experience CNY DOWN = BAD. CNY since mid-April has been down, a lot actually. 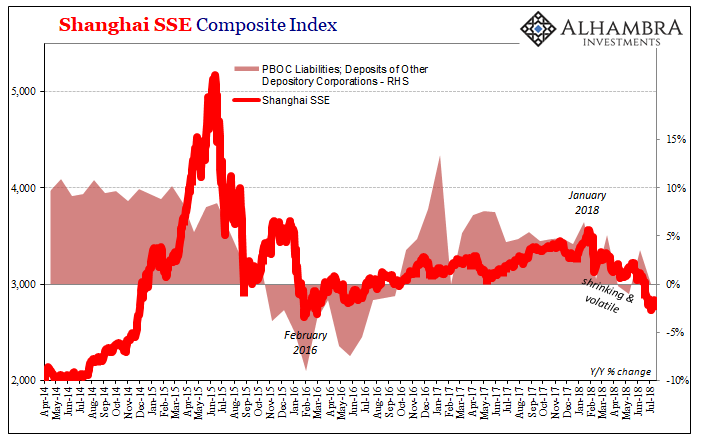 The “devaluation” of the Chinese currency over the past two months is far and away more than any single event during the destructive 2014-16 period. We need to figure out why that might be, and what that might mean. There are a couple clues on where we might begin. If CNY started to sink precipitously around April 19 it makes sense to review what went on in and around that particular time. 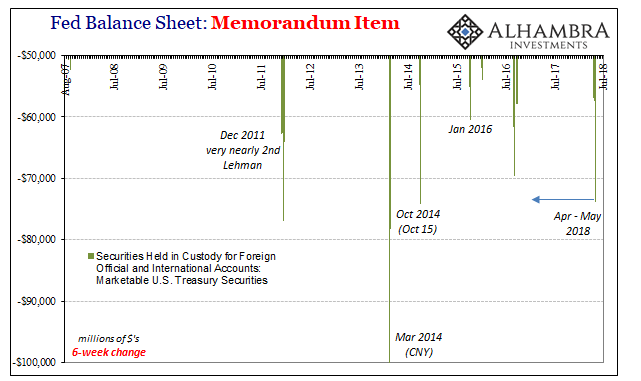 We know for the week of April 18, the same one, the Federal Reserve reported a large drop in UST’s held in custody on behalf of foreign accounts, official and commercial. That’s a negative collateral indication. The week before that, separate FRBNY reports from US bank primary dealers showed a spike in collateral hoarding. That was the week of April 11. Also on April 11? April 11 was the day HKD finally hit the lower bound. Hong Kong’s monetary authority, the Hong Kong Monetary Authority, or HKMA, has pledged to support HKD at 7.85 to the dollar. That means it will, acting the part of a currency board combined with a central bank, begin selling dollars into the market and buying HKD with the proceeds. Another way to write that sentence is HKMA supplying dollars to the local Hong Kong markets. 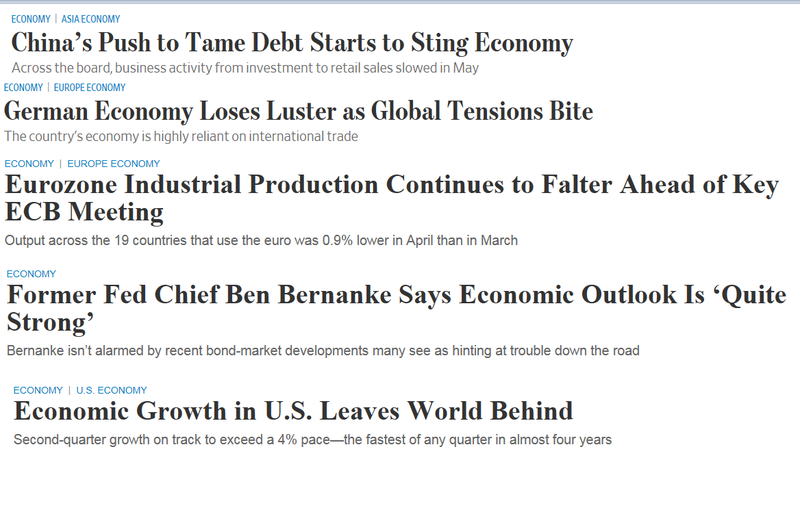 That sounds like a good thing if we are approaching all this from the suspicion of a renewed dollar shortage. But is supplying dollars to Hong Kong banks the same thing? This would not be anything like a perfect substitute for what has likely been going on since early 2017. By boxing HKD in at 7.85 that would restrict other funding transactions that might otherwise take place in FX markets. In other words, if you are a European bank, for an example, doing more lending to Hong Kong banks on eurodollar markets, being unable to “ask” more than 7.85 can lead to an exit from the chain of transactions. It might even trigger shifts in collateral.  The reason is simple; if you view a funding relationship as increasingly risky, you require compensation in order to maintain that relationship (rollover). It makes sense that European banks might wish to do so after the events of late January and early February, widespread global liquidations that pushed deltas and VaR’s way past limitations. 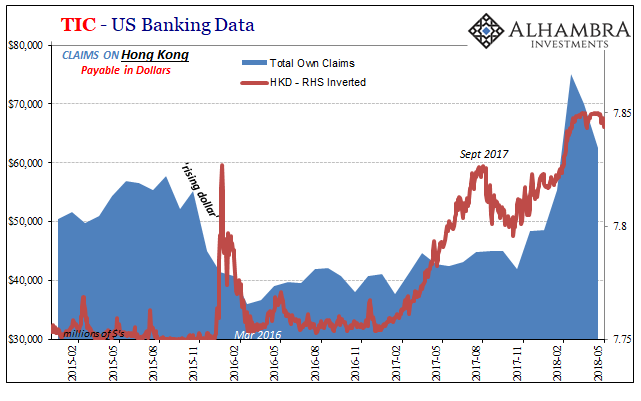 Of Hong Kong banks doing FX swaps from HKD into US$ via Europe, or Asia/Tokyo, they would have to pay up more for the privilege, meaning lower HKD – for time sharply lower. If HKD, however, can go no lower then Europe might just decide to close out its US$ FX books and retreat back to their prior money dealing retreat. I think it accounts for at least some major part of CNY’s recent heaviness, but not quite all of it. Switching off the US$ FX tap in Europe (and Japan) would leave Chinese banks, short the US$ as always, highly exposed. But in this situation in the past, highly exposed synthetically short Chinese banks had been able to count on the PBOC as an offset. Not a perfect one, or even a good and effective one, but a US$ bypass nonetheless. 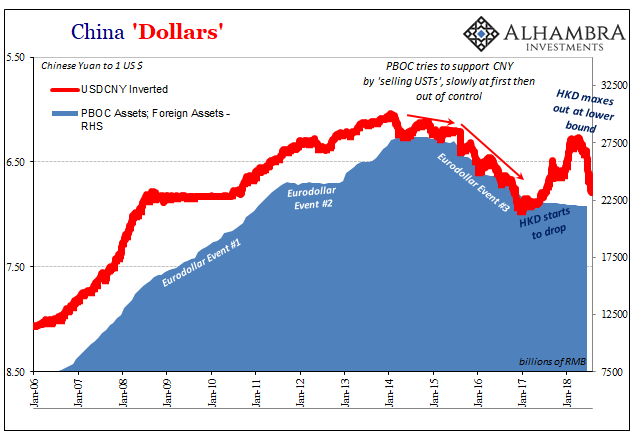 Even if China’s central bank wasn’t supplying “dollars” at the rate and pace required to even out whatever “dollar shortage”, it was at least keeping it from being much worse (as if directed by Ben Bernanke). One thing we know is that UST’s (which are not all UST’s nor all US$ assets, for that matter) show up on the PBOC’s balance sheet in the natural course of Chinese business. 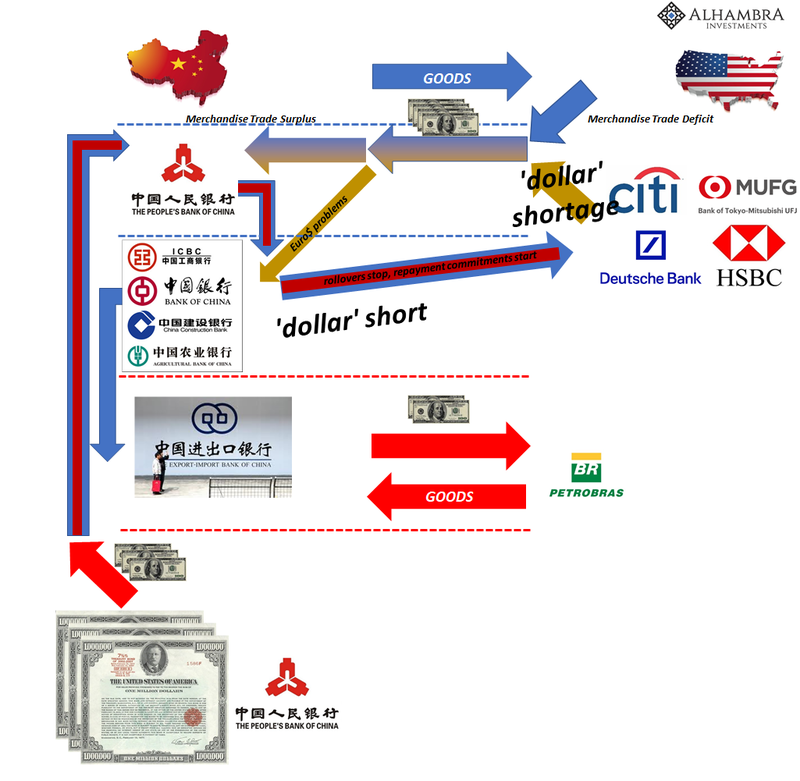 As pictured on the illustration above, China’s merchandise surplus combined with eurodollar financial flows means that a huge amount of forex assets found their way to the asset side of the central bank. These are, in fact, the basis for internal Chinese RMB money (backed by the dollar, loosely speaking). The inverse is different, meaning that UST’s can’t runoff the PBOC’s balance sheet in the natural course of business. If it is almost mechanical in the buildup of FX on the asset side, it is quite the opposite if they start to disappear. That would mean intentional action on the part of Chinese monetary officials. The history of CNY during the eurodollar era, or what we can indirectly observe of it, shows this purpose. In the middle of 2011, for example, Chinese forex reserves were almost pegged at around RMB 24 trillion. Starting August 2011, they were kept artificially close to that level for almost a year and a half until December 2012. The starting month for this operation was the same as the first eruption of Eurodollar Event #2. 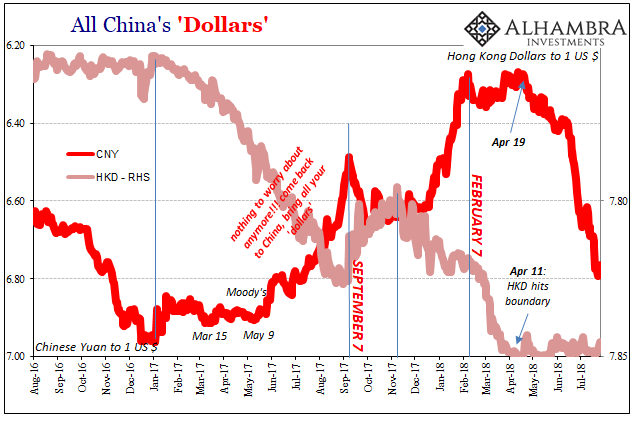 That would have meant fewer “dollars” flowing to China as there were fewer of them anywhere in the eurodollar system (especially as the whole EM-is-ironclad thesis was being re-evaluated during this time). 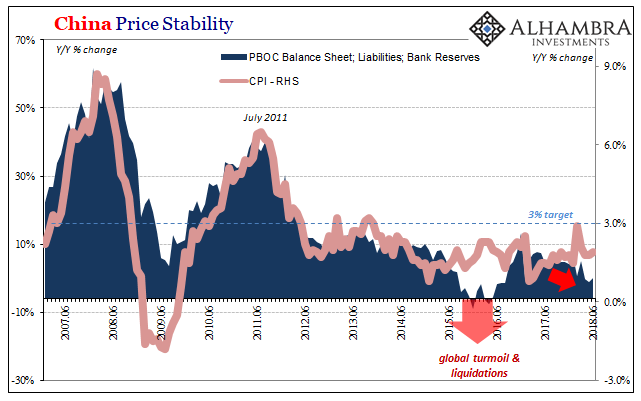 It also meant effort on the part of the PBOC to stabilize CNY so as to see it through a difficult global period (it would suffer only a minor “devaluation” in May 2012 lasting until Draghi’s “promise” that July). Eurodollar Event #3, or the “rising dollar”, was far more profound in its Chinese implications. 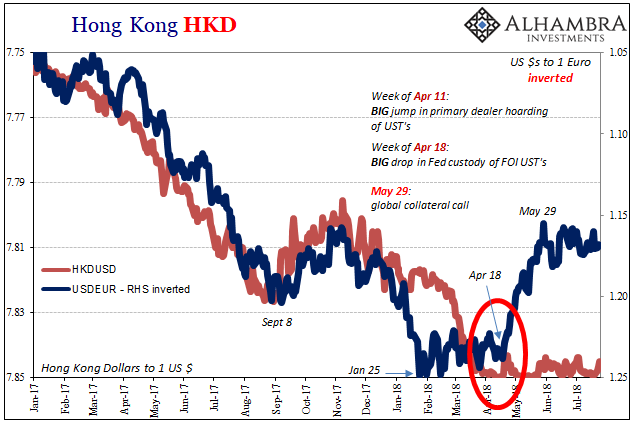 Not only did CNY “unexpectedly” reverse early on in 2014, it refused to stop reversing. It forced the PBOC to engage in escalating operations to try to arrest the currency’s decline. From the middle of 2015 forward, these became severe and would wreak all sorts of havoc on RMB money. 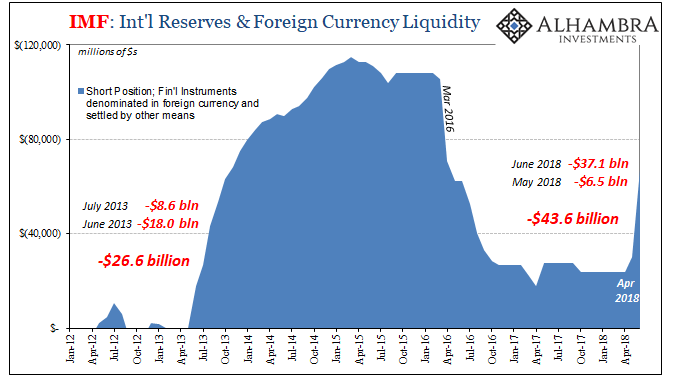 What is missing from the latest and by far the biggest CNY “devaluation?” The PBOC is missing, at least through June 2018 (the last balance sheet figures available). The unmistakable footprints of Big Mama don’t show up until the end of last month. I think that solves quite a lot of the big CNY move. On the one hand, the Chinese were increasingly closed off from Hong Kong meaning Europe and Japan (and everywhere else). On the other, the PBOC did little or nothing about it for at least six weeks. CNY sunk like a stone. That seemed in keeping with their strategy which in a nutshell was to try and do as little as possible so as to not upset CNY – even to allow RMB restriction to happen all over again. Unsurprisingly, these intertwined Hail Mary’s don’t appear to have worked. CNY tanked anyway. That might propose an alteration to the strategy or perhaps the beginnings of another one entirely. This time a more active than reactive approach? Without being privy to either eurodollars or the inner workings of China’s central bank we won’t know until currency particles scatter and register on our various eurodollar detectors. If this is the case, however, like Brazil it might mean temporary calm, the eye of another eurodollar hurricane, before the they make it worse down the road. Yes, the ticking clock. One final note about CNY DOWN = BAD. That, too, is merely a detector or signal. 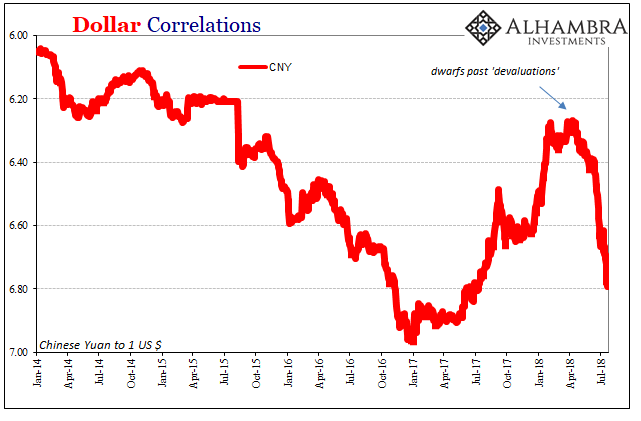 It’s not that CNY causes destruction, rather it’s the revealed correlation to the eurodollar’s invisible mechanics behind it. As such, CNY DOWN = BAD is already visible on more and more horizons. Again. 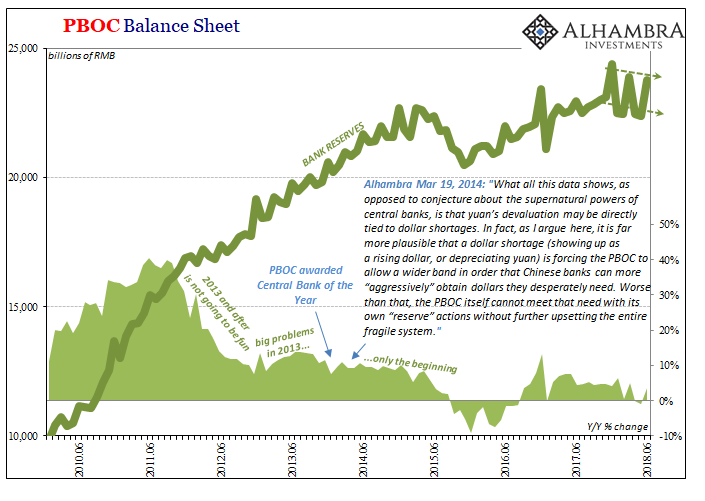 Only at the monstrous energies of big “dollar shortages”, like 2008, 2011, or 2014, are we really able to observe what’s going on. There’s a lot of heavy negative energy already about 2018.